Conan Exiles and The Forest are both survival games, with the latter mixing things up with a touch of horror. 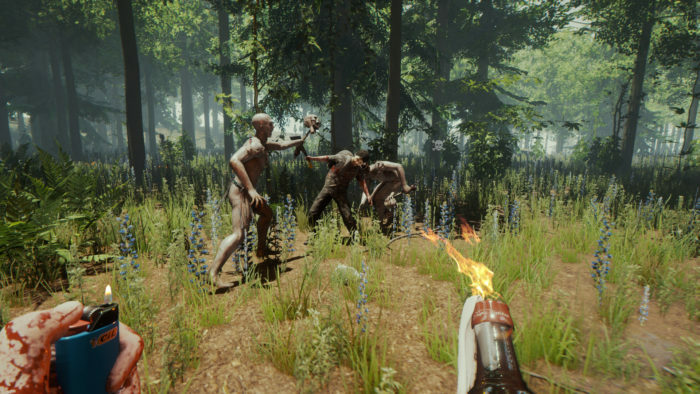 Instead of humans, players will have to be on the lookout for dangerous mutated cannibals that are out for blood and flesh. The Forest centers around a plane crash survivor (you) who has been separated from his/her son on a seemingly abandoned forest. As you make your way throughout the area, you’ll encounter dangerous creatures that won’t hesitate to eat you for an afternoon snack. As a survival game, The Forest is all about managing your supplies and collecting new resources along the way. Apart from your health, you will need to keep a close eye on your hunger and thirst meters, as well as your sanity level. The Forest also features an expansive crafting system that’s really easy to pick up, so you can start building your base from the get-go. If you’re a big fan of Conan Exiles, The Forest should definitely be on your list of games to play. If cannibals aren’t enough for you, then you can try fighting dinosaurs instead. ARK: Survival Evolved is another survival game like Conan Exiles in which you live off the land and learn to live with prehistoric animals. Your character is stuck on an abandoned island, so it’s up to you to help him/her survive and thrive. ARK: Survival Evolved actually lets you tame some of the creatures on the island, turning them into your pets that you can use to get around the island. Similarly, you’ll also have to gather food and resources to build a decent base. As you make your way through the game, you can also craft different weapons and fortify your home from any incoming threats. 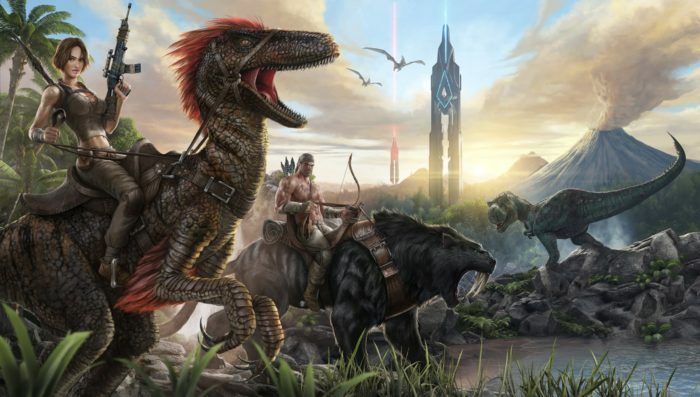 ARK: Survival Evolved is all about taming animals and staying alive, which is pretty much what you’re doing in Conan Exiles. Another survival game, Rust’s main take on the genre is its heavy emphasis on multiplayer. 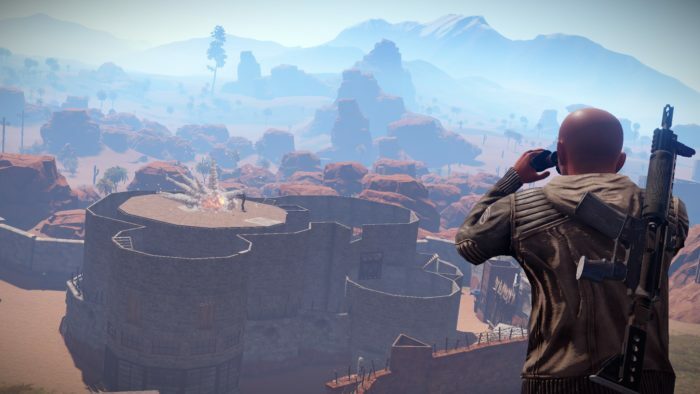 While Conan Exiles shines as a single-player experience, Rust is all about having to manage and deal with other real survivors. As with every other survival game, it’s your task to collect resources, such as food and drinks, to keep yourself afloat in the ravaged land. 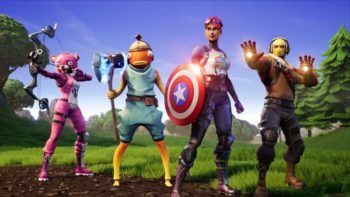 Similarly, players can craft different items to stay alive, such as weapons and other materials. Rust’s open world is filled with plenty of threats, but the main thing you should be on the lookout for are other players. Encountering another person could mean the difference between life and death, especially if one person is desperate for supplies. 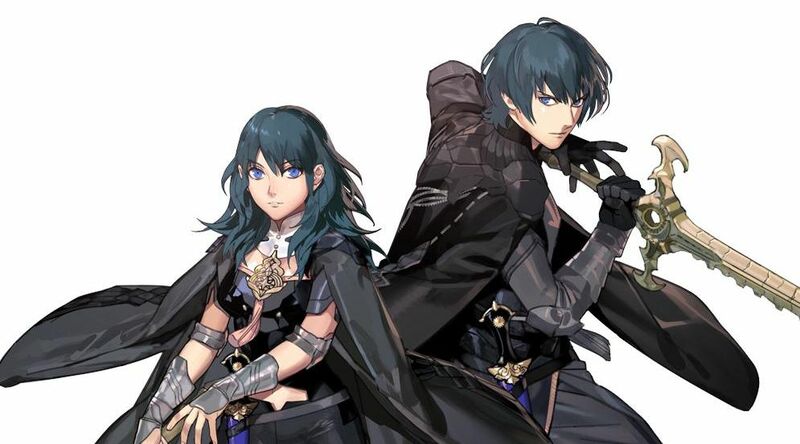 Needless to say, players can attack each other in order to survive. However, you can also join guilds or form groups for a better chance at survival. Conan Exiles includes wide stretches of land to explore, giving players the freedom to travel where they please. 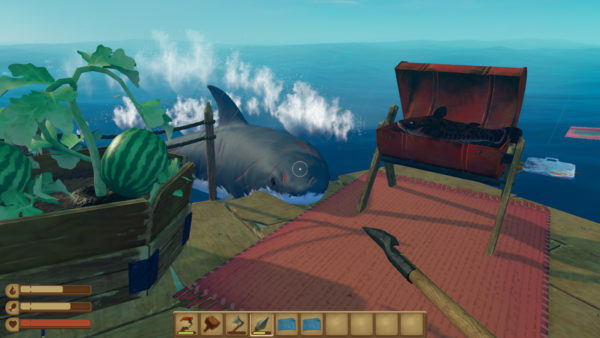 Raft, on the other hand, is all about making do with the tiny space you have to stay afloat on the vast ocean. While you start off with some measly planks of wood, you can expand your base by collecting different resources from the sea. You can hook any floating debris and add it to your collection, and once you have enough materials, you can craft different items for your survival. Since you’ll be spending plenty of time on the open waters, you can navigate to new locations and make some surprising discoveries. Raft also features a fun multiplayer mode that lets you work with others to build the best base as possible. If you’re a Conan Exiles fan who likes building from the ground up, then you should definitely keep an eye out on Raft. 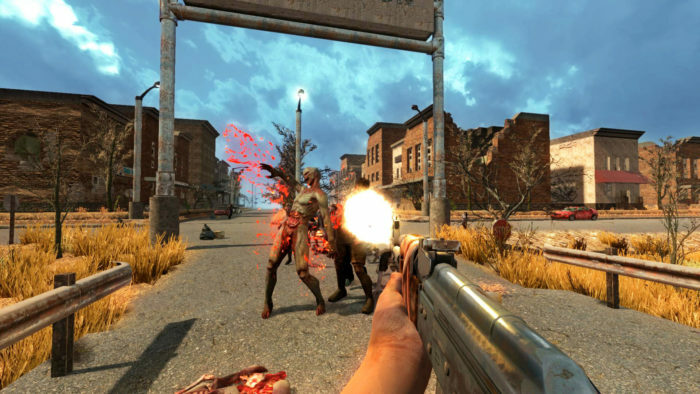 Another horror game, 7 Days to Die places you right in the middle of a zombie invasion. With humanity left in shambles, you’ll have to work your way around and collect resources and materials to survive. 7 Days to Die relies heavily on a day and night system to keep things in check. During the day, zombies are less hostile, giving you the opportunity to stock up on supplies and craft what you need. Come evening, however, the undead are much more feral and will hunt you down in seconds if you don’t hide. The main goal is to stay alive, for the most part, and the seventh day is the most crucial part of the game. 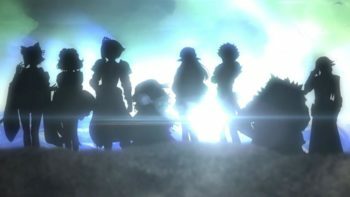 Once you reach the seventh day, expect hordes of monsters to chase and kill you unless you’ve come prepared. That said, 7 Days to Die is a more fast-paced take on what Conan Exiles brings to the table.